A lucky discovery in a rare book has the potential to transform our knowledge of perhaps the most famous story from the entire Middle Ages. 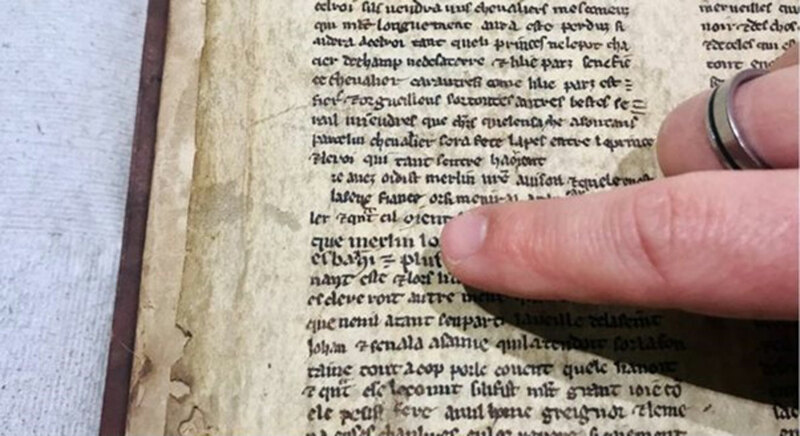 Some damaged manuscript pages found inside the volume are from the 13th century and they narrate the adventures of Merlin the magician, a key figure in the legendary tales of King Arthur and Camelot. The find is an astounding one and it is already changing our understanding of the Arthurian myths and legends. The Birmingham Mail reports that Michael Richardson, from the University of Bristol's special collections library was examining some volumes published in the 1500s that were written by Jean Gerson (1363- 1429), a noted theologian and Church reformer. Richardson, as he opened one of the volumes, saw something curious. He found seven fragments of a handwritten manuscript that had been bound into the book. Intrigued he studied them and according to the BBC he “recognized a number of Arthurian names”. He suspected that the pieces of manuscript were on the Arthurian legends, a series of stories that are probably based on a Romano-British king who fought the Anglo-Saxon invaders after the fall of the Roman Empire. 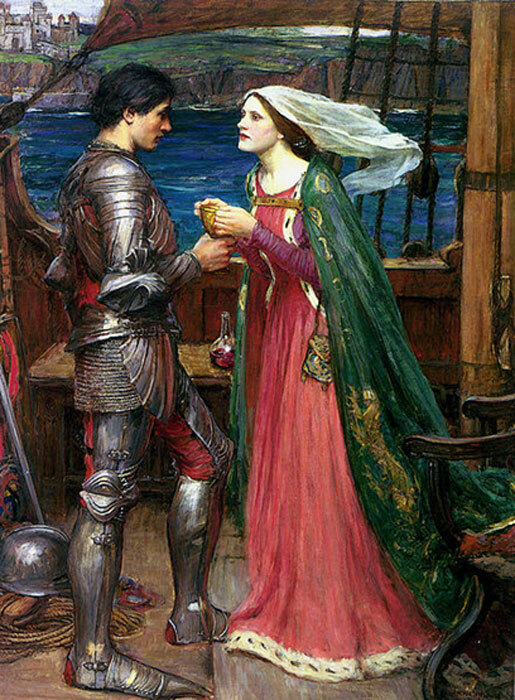 The librarian promptly contacted Dr. Leah Tether, who is a leading figure in the International Arthurian Society, a group dedicated to the research of the legends, history, and literature on King Arthur. Dr. Tether immediately compiled a team of specialists to investigate the fragments and they were amazed at what they discovered. The Irish Examiner reports that the “seven pieces are thought to come from the Old French sequence of texts known as the Vulgate Cycle or Lancelot-Grail Cycle, dating back to the 13th century”. 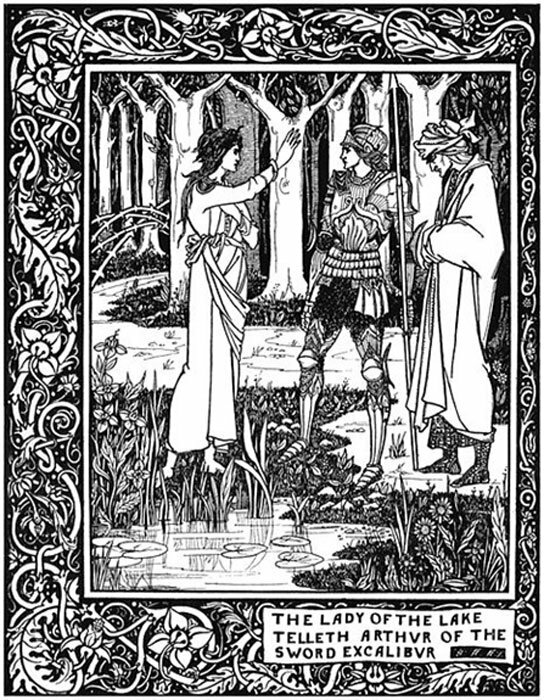 These are among the most important texts in the Arthurian tradition and they were used by Thomas Mallory in his influential work Morte d’Arthur (1485), which more than any single work popularized the story of King Arthur, Merlin, and the Round Table. The pieces of pages appear to relate the story of Merlin but according to the BBC there are “subtle but significant differences from the traditional story”. The scribe who wrote the manuscript provides more details than in the existing texts such as the work by Geoffrey of Monmouth (12th century AD) on Merlin and his adventures. Significantly, the deaths of some characters are different from the traditional accounts and there are more detailed descriptions of key events such as battles. Researches are intrigued as to how the fragments came to be bound into a book that was printed in Strasbourg, then part of the Holy Roman Empire and how they ended up in Bristol. It seems that the loose pages were probably bound into the book in England. Experts have noted that there is a strong connection between the Bristol area and the Arthurian Legends. This may mean that the fragments are part of an earlier period. At present specialists from the Universities of Durham and Bristol are working on the texts and hope that they may provide even more details on Merlin and King Arthur. The writing has proven very difficult to read and furthermore, the fragments are damaged as a result of being bound into the volume. According to the Daily Mail “cutting-edge analysis and infrared techniques will be used to try to read the ancient prose”. These could help experts understand more about the origins of the myths, something which has perplexed academics and writers for centuries. Few conviniences here. One is that the pages were found in a book by a Church reformer around the time of the Dissolution of the Monasteries. Secondly the story is now in the ownership of the same people it was protected from. Knowing Cornish history I can guess why the pages were hidden in this book, the dates are important. But considering the lack of interest in this particular region, I’ll leave people to come to their own conclusions.